This CD is a collaboration with David Howard & concert pianist Peter Kubik recorded in October 2006 at the Sepmer Opera in Dresden. 29 selections & 1 Extra track (45:46 minutes) of Original Piano Improvisation. 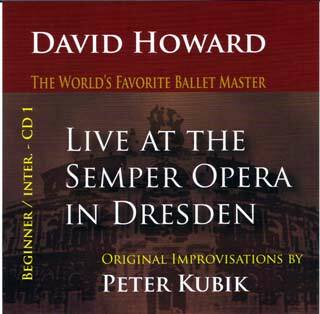 Excerpts of David Howard - Live at the Semper Opera - CD 1 Beginner / Intermediate are in MP3 format.